» Win Tickets to See The Fresh Beat Band Live in Albany! Home » Contest » Win Tickets to See The Fresh Beat Band Live in Albany! Win Tickets to See The Fresh Beat Band Live in Albany! My little one watches the Fresh Beat Band on Nick Jr. and is so excited that they will be coming to the Palace Theater in Albany next week! We’ll be there! I love that the Fresh Beat Band was referred to as “Beatlemania for tots” by the New York Times. So true. 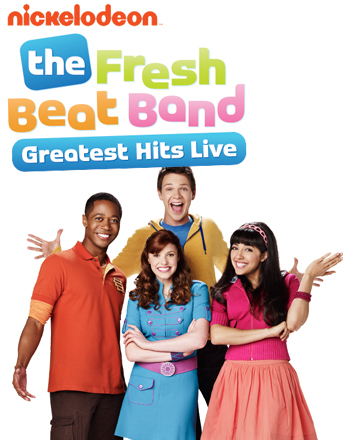 The Fresh Beat Band will be performing their greatest hits live on December 11, 2014 at 6:30 PM. Tickets start at $30.50 and can be purchased online or at the Palace Theater box office. But…..right now you can also get even better seats for $37 each on Groupon (and this includes all fees!). Would you like to WIN tickets to see to see the concert?? I am very pleased to be giving away a FREE family four-pack of tickets to this event! Leave a comment below about who you would take to the show. That’s it! Once your comment is approved, you are entered to win! Winner will be randomly selected using the “And the Winner is….” plug-in after 9 PM on Thursday, December 4th. Winner will be notified via email. One entry per family, please. Good luck! This entry was posted in Contest, Deal a Day Sites and tagged Fresh Beat Band, Giveaway, Groupon. Bookmark the permalink. I would take my son and daughter who live to dance. I would love to take my kids especially my 3 year old son who struggles with speech. He loves to sing, and any sound and words he can make is a big accomplishment for him! 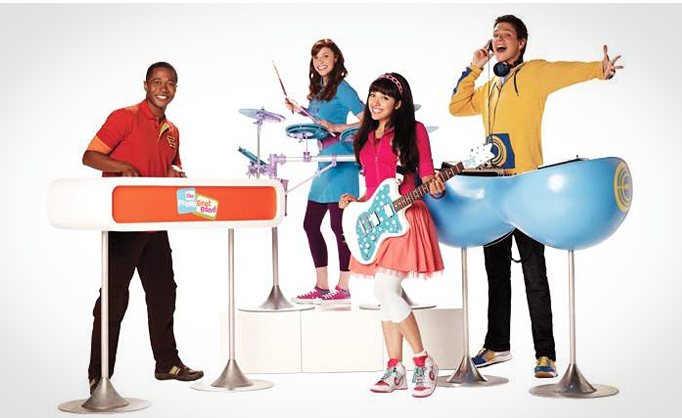 We looove the Fresh Beat Band!! Singing.. “We had a great daaayyyyy….” LOL. I would take my 3 little ones (7yo daughter and 4.5yo boy/girl twins). They would be so excited!! My kiddos would go bananas! I would take my daughter with her best friend and her mom. And, if I have time to pull it off, we would totally dress up like Kiki and Marina! I would give the tickets to my niece s she could take my sister in law, her best friend and her BFF’s mom. 🙂 I have boys too young to appreciate the Fresh Beats! I would take my five year old daughter! My daughter Lyra would love to see FBB. We missed their performance at SPAC. I would use the other 2 tix to invite our friends Erin & Soria! Would love to take my 4 year old and 5 year old! Grand pop and I would love to take our two grandsons,we love music! Omg I would take my daughter and niece!!! I would love to win and take my daughter! She loves the Fresh Beat Band! Would love it if my husband & I could bring our 4 yr old & 2 yr old!! I would love to take my granddaughter and her parents to this event. She loves music and clapping – I am sure she would enjoy the show! My daughter loves them and would make her day/year to be able to see them..thanks for the opportunity.